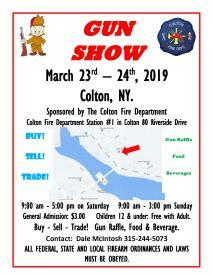 The Colton Volunteer Fire Department is hosting a Gun Show on March 23rd and 24th at Colton Station #1. 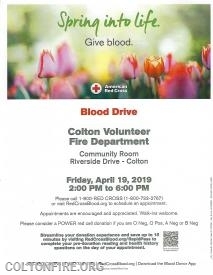 We will have food and beverages for sale. General Admission: $3.00 Children 12 & under: Free with Adult. Buy - Sell - Trade! Gun Raffle, Food & Beverage. 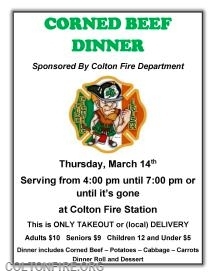 The Department is hosting its annual corned beef and cabbage dinner on THURSDAY March 14th....4-7 pm. Come on down and get a tasty meal! 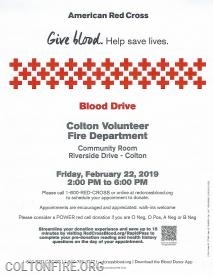 www.FirehouseSolutions.com Colton Volunteer Fire Department Inc.